Twin track mainline with long straights. Yep. This was an easy one to get onto my layout. I went for a fairly basic double oval with a view to trying to maximising track length. I couldn’t live with myself, building my layout with so much space and not being able to run a couple of A4 expresses. Until relatively recently I have always thought about going with Hornby set-track for the whole of the layout. However, whilst trawling through ebay I came across many weird and wonderful alternatives. 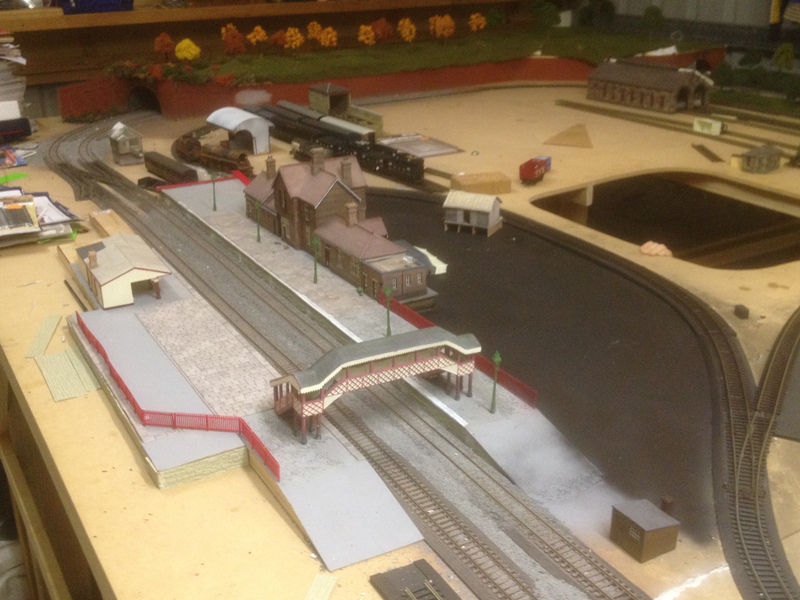 Hence, as well as some decent Hornby set-track curves, I incorporated a number of Peco points and some flexi-track. I found it a little unusual and challenging to work with the flexi-track especially since I had only known set-track. However, I’m glad I pushed the boat out a little on this one – it certainly isn’t perfect, but I think that’s what makes the finish more interesting. Underlay or not? Underlay, underlay. Laying track directly on top of a wooden baseboard ust didn’t sound right. I explored (for about 10 minutes) laying the track a top of cork lengths. Ba bow. For me, foam underlay was the way to go. It is very easy to work with, reasonable realistic if you choose the right one (and there are surprisingly quite a few to choose from) and comparatively inexpensite which is the name of the game on such a large layout. Accordingly, rather than ordering online I had a few trips to Stanbridges – mainly because the amount of underlay I needed. It did allow me to not get too ahed of myself in other areas. Saying that, I haven’t got round to laying the track and underlay for the good yard yet. I went for a fairly basic double oval. Back straight – as you can see I have a slight kink on the inside rail to add a little more realism. That, or I didn’t use a track spacer and when it came down to fitting in the last pieces the flexi-track had to be squeezed in. 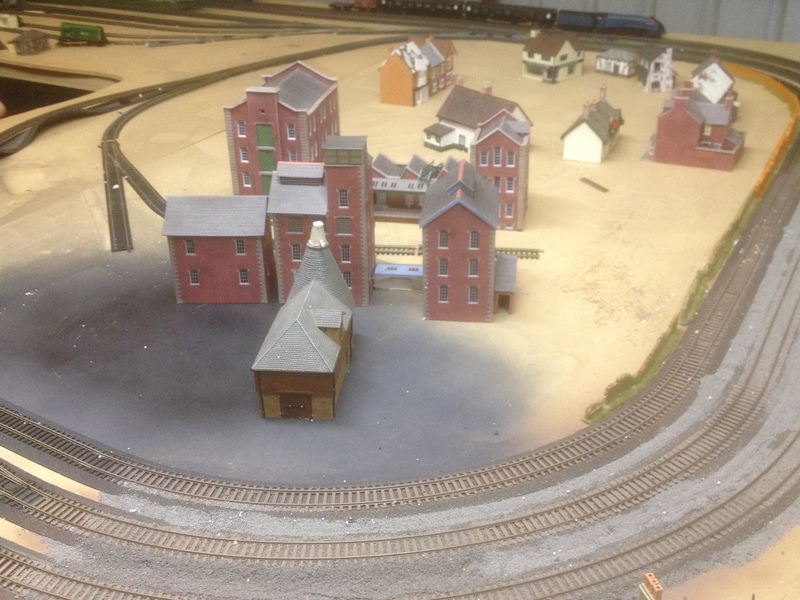 I got a little too carried away and started putting down some ballast. This is before I had checked the workings of my points and other key tasks. It was a case of me wanting to see progress on the track laying. Now I know better. Safe to say that the ballasting is now on the backburner until I am 100% happy with the track and points. Which I’m not yet. I was comfortable with my track laying ability on this section hence the ballasting went down pretty quickly, and I have something to show for my efforts. Will be able to concentrate some time and effort on the main station – I will discuss my progress on that in a future post. I’m sure I, as like many others, could write about track forever and a day. 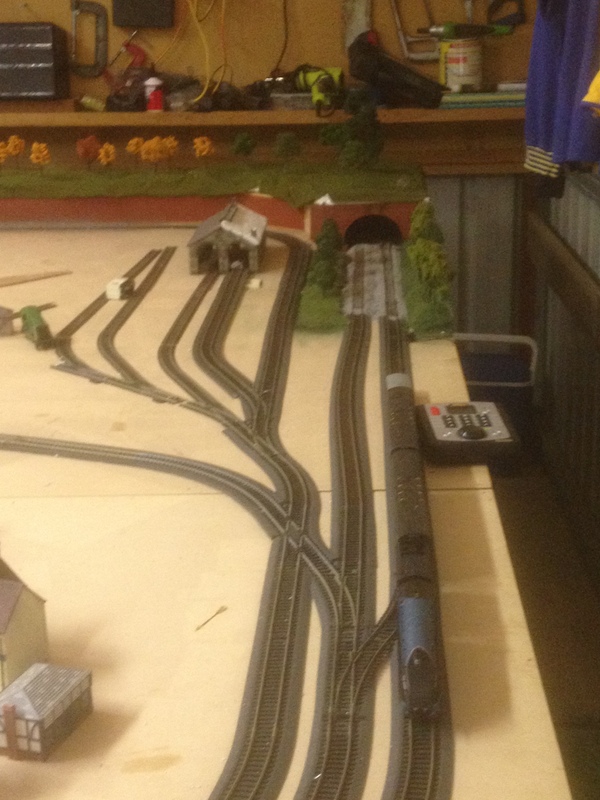 But, the main thing is that I do I have twin track mainline with some great long straights. And, the outside curves are all largest radius Hornby set-track so I don’t expect any of my locos to be jumping the tracks all too soon. Crossed fingers. Anyway, getting late and I’m already thinking about the topic for my next post. Hoping to have a few more comments before then.